Our vision for Inanna House began many years ago and we have always known it was a collective vision. We are manifesting this vision now. It is happening because all of you are giving your energy to this project. The contributors listed below have shown their support and this is our way of saying "Thank You". We know that we will succeed, and Inanna House will thrive. Together we are creating a new paradigm in health and healing, while creating a place for those sick with Tick-Borne Disease to find a way to recover. I smile, because my support for Inanna House began long before I knew it existed. Like everyone suffering the ravages of Lyme disease, my family and I have been so profoundly impacted by the devastation of this disease and the lack of support from the medical community at large. Many times I have dreamt of a place where Lyme patients could go to receive proper care in a nurturing environment, where medical practitioners actually treat patients and their disease with the respect they deserve. Many times I have discussed this dream with my family and how I hope to be a part of such a place once I regain my health. Imagine my delight to find that such a place is already in the works and it is EXACTLY what I dreamt about. Inanna House will save lives and restore hope to those who have lost everything to this grueling disease. For years I could only dream a center like this would one day come to exist...now that the potential for it is here, I will do everything in my power to help see that it is built. Thank you, Inanna House, for your incredible vision, and for restoring my faith in regards to future treatment options for CLD patients. Lots of LOVE to you! I very much look forward to seeing Inanna House be built. I believe their vision of incorporating all world's of medicine, green energy, support for family and caretakers, give back programs, and fees based on a sliding scale is what makes this facility stand alone in its' excellence. Lyme Disease has been an unwelcomed guest in my home for the past 15 years. I look upon any and all efforts being put forth to help end the suffering associated with this terrible disease. Thank you Inanna House! I want all Lyme Disease patients to know how important it is to be your own advocate. Don't take "no" for an answer. Find an LLMD who will take care of you. If you know something is wrong, don't let the "experts" make you feel crazy. Fight for yourself. Maintain hope. Stay positive. KNOW that you can get through it. There were days when I prayed I would die. Today I thank God every single morning for this journey. I appreciate every second and every moment. Learn your lessons. Stay strong and you will be ok! My husband is the best support I could ever ask for. He is paramedic and in nursing school. There have been so many scary moments in my treatment that he knew what to do to get through them. Inanna House will provide that support and knowledge for many other Lymies who are scared and overwhelmed. Justin and I fully support Inanna and can't wait to see it as it progresses and is finally serving the mission! I believe in the holistic approach to chronic disease. I see Innana House as an answer to wellness for those who suffer from chronic Lyme. "Trust your instincts" Thank you Inanna House for everything you're doing to help those with Lyme! I am honored to be a part of helping the amazing vision of Inanna House become a reality. My faith gives me strength for the journey. As a Lyme Survivor since 1990, I feel blessed to be a part of Inanna House. Wishing health, happiness, love & light. In honor of Nancy Dolan, who has courageously suffered with Lyme disease since 1999. May the Inanna House be a healing place for those who struggle with this terrible disease. God bless you. We want to help people with Lyme with our Akea wellness program and product, which includes only organic, whole super-foods which have been fermented for increased bio-availability, and tons of natural probiotics. I Have had Lyme since I was 2 years old. I am now 16. Although it is tough, I am still attending high school and doing everything I can to live my life to the fullest! I never let my Lyme drag me down. I am currently receiving heavy treatments but I will NOT be Defeated!! 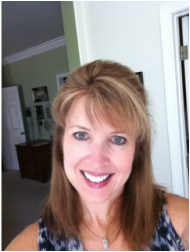 I am a Lyme Disease survivor! 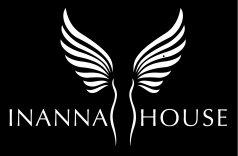 I am extremely thankful for all the support and treatment programs out there but in my research the Inanna House seems to be the very best one I have found out there. So I wanted to say THANK YOU!! I am so ill with late stage neuro lyme & co infections. I have a difficult time maintaining a house while trying to survive and find treatment that works. Things can fall apart very quickly and easily. So many people do not understand. Fight, hope, believe, trust in God for strength and healing, and never give up! For Amanda, we love you! For Blake, get well soon. Love Mom and Dad! Lyme patients and their loved ones are so in need of someplace to go for support that addresses their whole self. Not just a doctor's office where medical treatment is given, but a healing place where folks with Lyme could find respite, healing through various modalities and mostly a place where they can stay and be supported on a physical, emotional and spiritual level. Finally such a place is being created. So happy to support it! For my granddaughter, Amanda, who has been so very ill with Lyme disease. No one should have to fight so hard just to get the medical care that they rightfully deserve. Thank you Inanna House for doing what is so needed in the Lyme community. "The wonder of a miracle from which this love began. There is so much found in the touch of holding a grandchild's hand." If there are any changes you would like made to your name, photo, or message, please feel free to CONTACT us. If you would like to have your name added, then send in your name, message, and photo. Thank you for being part of Inanna House!